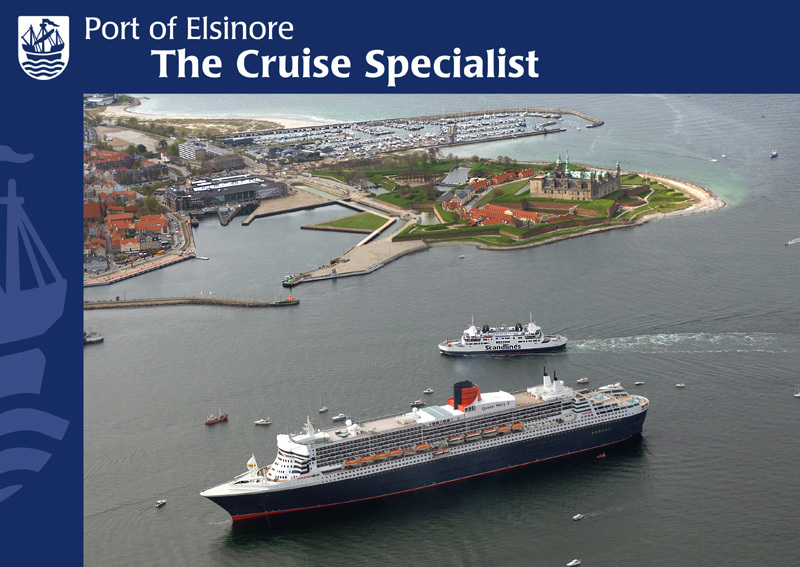 From the quays, visitors can enjoy the many Harbor attractions and explore the historical city of Elsinore, with its mediaeval buildings, cathedral , cloisters and extensive pedestrian shopping and restaurant facilities. 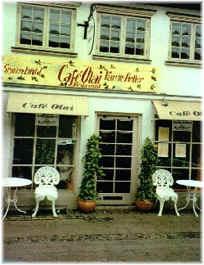 With services and facilities to handle even the largest groups. 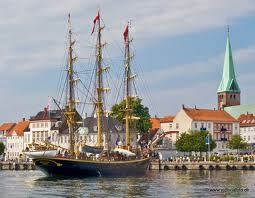 Elsinore Harbor provides cruise ships and their guests the best kick-off for a visit to Denmark. On this shore excursion, We will show you the key attractions and historical sites and share the most famous stories as well as lesser-known facts about Helsingor (Elsinore). 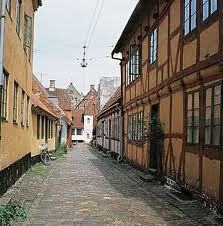 The visitors will see the many timber-framed houses and restored cobbled byways. Underway you will pass the Cathedral, the Saint Maria Church with the Carmelite Monastery and the former "red light area” in Anna Queen Street. A tour of the Carmelite Monastery will be of the cloister, the music room and the refectory. In Saint Maria Church you will see the well-preserved murals and a replica of the organ, which Buxtehude (German composer) used when he was organist during the 1600’s. The Carmelite Monastery, with the Saint Maria Church, is the best preserved Carmelite monastery in northern Europe and one of the major places of interest in Elsinore. Or you can go the route with your mobile phone. Check out our suggestions here. Proudly guarding the entrance to the Harbor is one of Northern Europe’s most famous renaissance castles. Kronborg Castle, which is known to the English-speaking world as Elsinore Castle or Hamlet´s Castle, is home to Shakespeare’s timeless Hamlet and serenely commands the entrance to the Harbor. Set in impressive and extensive grounds, moats and ramparts that are easily accessible from landing stages, the visitor-friendly castle provides a fascinating insight into Denmark’s military, maritime and royal history. A new cruise liner quay for vessels of max. 150m and a 6.5m draft. Ample anchorage for larger vessels of any size in the roads only 0.25 nautical miles out, and with a water depth of 20m. Reception facilities at an approved ISPS transit quay for launches entering the exciting Harbor provide visitors with the extra attraction of a boat trip from the roads into the striking complex. 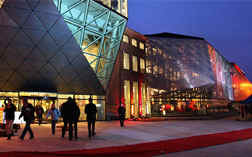 Comprehensive, quick and comfortable services allow visitors to extend their visit to nearby Copenhagen, Helsingborg or other neighboring attractions, including the renowned Louisiana Museum of Modern Art, the home of Karen Blixen of Out of Africa fame, the Museum of National History at Frederiksborg Castle and Fredensborg Palace, Queen Margrethe’s Royal Summer Residence. The town was also regarded as a cultural centre due to the newly built royal castle, Kronborg. It is unknown whether Shakespeare actually ever visited Elsinore. It is known with certainty, however, that a number of English and Scottish players from his retinue performed as visiting actors at Kronborg and in the town of Elsinore. They could have been the source of stories about the illustrious castle on the Sound that reached Shakespeare and which inspired him to set the play here. 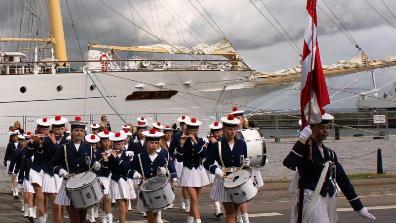 We welcome the royal family and our cruise guests in royal style, with red carpets and musicians from our sweet girl Guard, and we say goodbye with a salute from Schakespears famous Kronborg Castle. Cruise Ships Port of Call Elsinore. Elsinore Port is ISPS approved. The quay has been extended, so there will be room for approx. 5000 m2 for parking area. Tourist office 300 meters from the Cruise berth. Train station next to the port. Only 40 min. by train to Copenhagen International Airport. Ferry crossing to Helsingborg / Sweden - takes only 20 minutes, 3 departures per hour. Banks, hotels and most shops accept credit cards. Three of Northern Europe's most famous Renaissance castles in a radius of 20 Km. 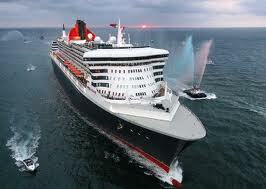 56° 02′ 11″ N 12° 37′ 49″ E.
Larger cruise ships can anchor at the smooth southern breakwater just appx. 0.20 nm / 400 m from the new two-sided pier at King quay and with a spectacular view of Shakespeare's Kronborg castle from the ship. No limit for length and Draught. Larger cruise ships can anchor appx. 0.25 nm. SSE of the southern breakwater. Passengers can be tendered to a new two-sided pier at King quay.